It looks like you're thinking of selling your home in the near future! I specialize in using the latest sales and marketing tools and techniques to provide my clients with the very best service. I believe in providing my clients with better communication, information and home marketing resources so that you are well informed and educated about the home selling process. The bottom line: faster sales, top dollar for my clients and less inconvenience and stress for everyone involved. So when you decide to put your home on the market, please call or email me. I promise to provide you with the best of both worlds: state-of-the-art technology and state-of-the-heart committed, quality service. Hope to hear from you soon. "Great price for SqFt. Fantastic Home Full of Upgrades. 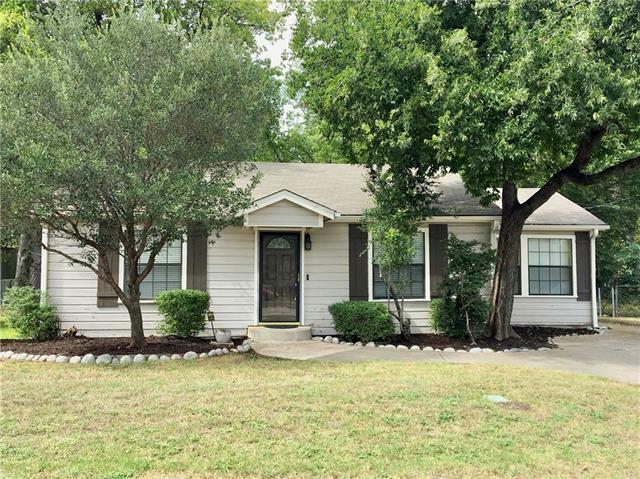 Exemplary Plano ISD, Fresh Paint, New Carpet, Laminate Flooring, New Granite Counter Tops, New flooring, New Light Fixtures , Bathroom,Kitchen Remodeled, Large backyard, BRAND NEW ROOF WILL BE INSTALL BY THE SELLER . This Gem won't last longer please bring offers"
"4 bedroom 2 bathroom home in quiet neighborhood with convenience to I35. Home boasts an open concept floor plan with Large Kitchen overlooking Family Room. Huge Walk in Pantry. Newish Roof, Water Heater and full HVAC System. Water Heater and HVAC system upgraded to Larger Capacity. Backporch Concrete was Quadrupled in Size, creating a Great Outdoor Living Space. Updated Lighting Throughout. Beautiful Floors. Currently 70 percent of the garage has been professionally converted to a Medi"
"Investment Property With Tenant! Cute home in established neighborhood. Close to schools. Wood floors and ceramic tile in kitchen breakfast and all baths. Beautiful wood burning fire place and tons of counter and cabinet space in kitchen. Huge Master Closet. Tenant just renewed for another year!" "Extras and more extras! Garage converted into 2nd living room with fireplace and solar tube for extra lighting.Also, added on mud room with front entry. 1st living room has plantation shutters,built-in cabinets with hidden mail catcher.A large work shop in the backyard with power and air condition.Kitchen updates includes tile floors,counter tops and small water heater for quick hot water.Master bath updated with walk in shower.This home has had the foundation work done and no popcorn ceilings"
"Welcome to this adorable 1 story home with 3 bedrooms, 2 baths, and 2 car garage. It includes an in ground play pool with a 4 inch volleyball court. 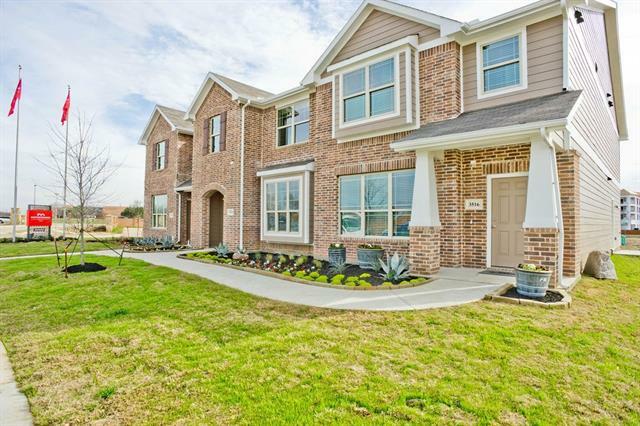 Students attend Lewisville ISD and are within walking distance to Lewisville ISD and Sun Valley Park. AC & Furnace were replaced in June 2014. Warranty is included. Roof was replaced in April 2015." 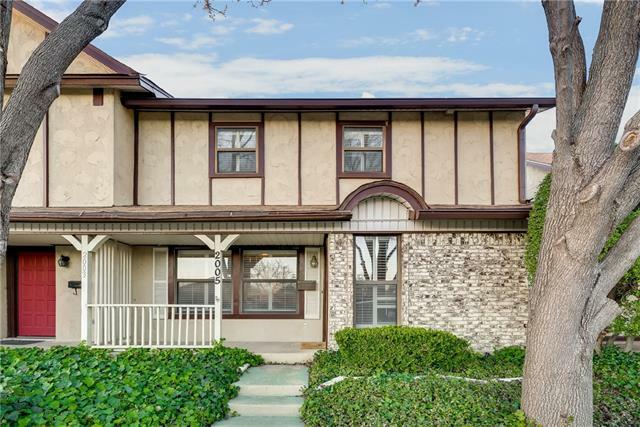 "Mature trees greet you at this 1 story home featuring 3 bedrooms and 2 bathrooms with attached 2 car garage. Vinyl and ceramic tile flooring throughout for easy for maintenance and ideal with pets. The kitchen is open to the breakfast nook next to the family room. Bedrooms are split to offer privacy. Master bedroom is large and the master bathroom is bright and spacious. 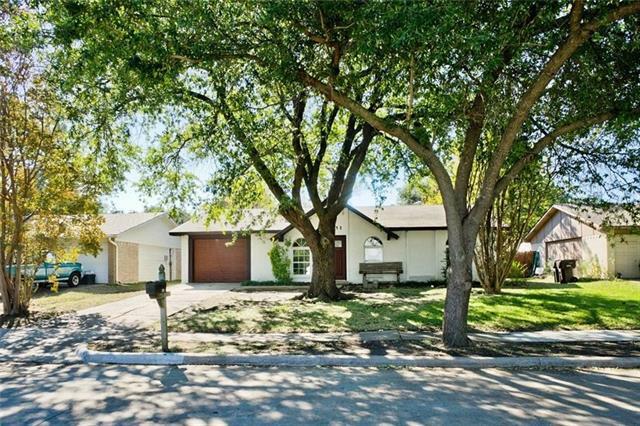 This house sits on a corner lot and outside, you will find a large fenced backyard. 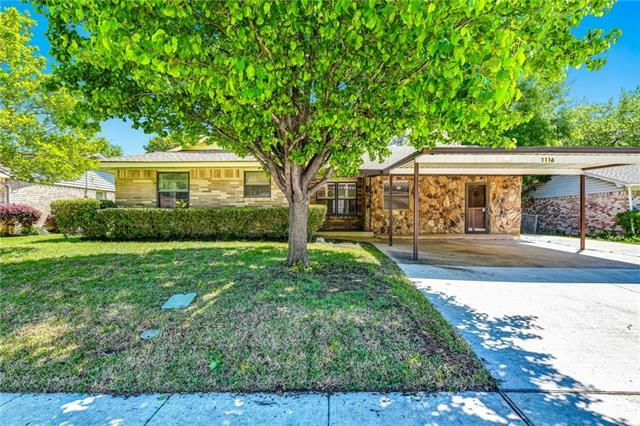 NO HOA and walking distance from Ryan High"
"Attention Investors! Leased until Feb 2020 for $1500 per mo. Well maintained with HVAC replaced in 2017, foundation in 2016. HoA take care of exterior so maintenance is a breeze! Great layout in a highly sought after neighborhood. Updated kitchen with new backsplash, granite counters, SS appliances & painted cabinets. Great storage and built ins in master and one of the bedrooms." "Calling all investors! 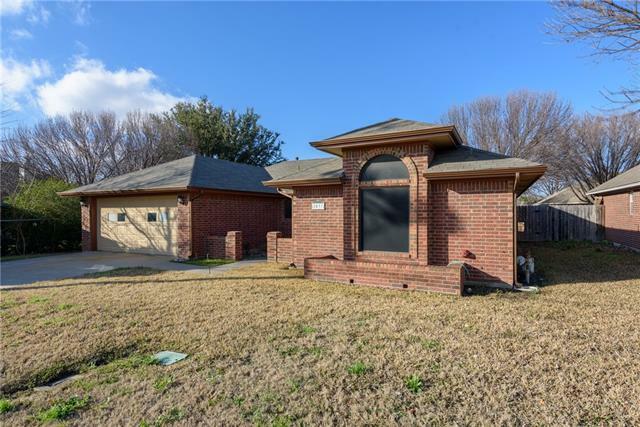 This is a wonderful opportunity to purchase a spacious 4 bedroom 2 and a half bath home located just blocks from Ryan HS, McKinney St, & Loop 288. It has been priced aggressively so you can make your personal upgrades and touches. Located on a Cul de sac loaded with mature trees, large backyard with a storage shed and open patio. Open split bedroom floor plan with soaring ceilings, & much more. View today before its gone." 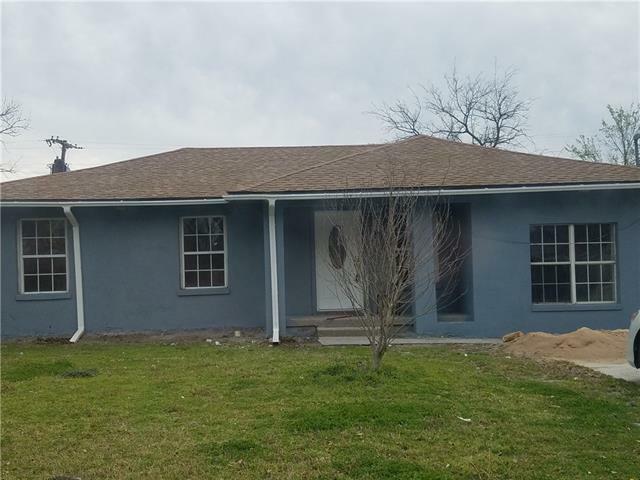 "BACK ON MARKET due to Buyers Denial By Lender...Moving on & MOVE-IN READY 3-2-2 HOME on DUCK CREEK RD...NO HOA...20 X 10 WORKSHOP-SHED WITH ELECTRICITY...HUGE BACKYARD WITH 16 X 18 COVERED PATIO...SPRINKLERS front & back yards...LOVELY HOME WITH CERAMIC TILE & WOOD FLOORING...SPLIT BEDROOMS...WALK-IN CLOSETS lots of storage...Great Floor Plan that FEELS BIG!.....DON'T MISS OUT!" "Adorable 2-story home in desirable North Carrollton neighborhood. Walk to Elementary and Middle schools! A Rare find with high vaulted ceilings in living room,ceiling fan, fireplace, ceramic tile floors! Spacious kitchen has granite counters and open to dining area with bay windows. Master suite down has vaulted ceilings,granite counters, separate vanities, shower and garden tub! Media room has a bar with lots of space for play or office, tile floors. Split bedrooms up stairs that have large cl"
"LOCATION LOCATION LOCATION!! 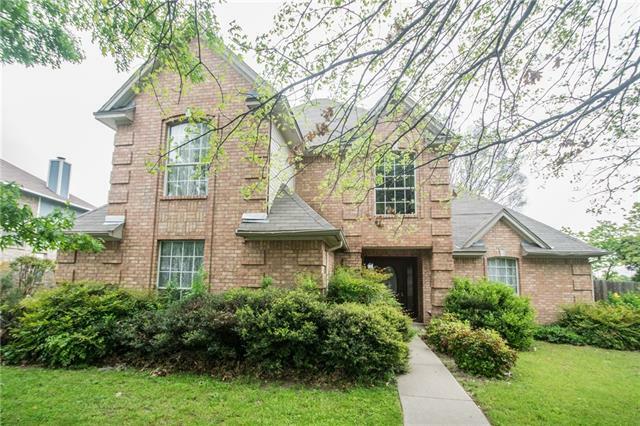 Charming 1 story home close to Lake Lewisville and 35! This 2 bedroom, 2 bath house has an open concept floor plan, with a lot of character! Stainless Steal appliances, updated second bathroom, tons of shelving for storage, beautiful fireplace in the living room, covered porch, and a huge backyard for entertaining. This home has been well taken care of, and would be the perfect starter home or investment!" "MLS# 13901425 - Built by History Maker Homes - April completion! ~ Nutmeg stained oak kitchen cabinets with ceramic tile backsplash. Whirpool stainless steel appliances. Single bown 60 inch master bath vanity with 5 foot shower with tile surround. All bedrooms have large walk-in closets. Common area with green space and covered cooking pavilions..."
"WOW just WOW! This 3-2-2 has been meticulously cared for inside and out and has an impressive curb appeal. The Kitchen has recently had granite counter tops and stylish back splash installed. Open concept with natural light. There is an eye catching high ceiling and cut out from the living room into the kitchen area. The master bath offers a garden tub with separate glass shower. Beautifully landscaped and a low maintenance back yard with a covered patio perfect for morning coffee! The garage ha"
"Upgraded features include a new dishwasher, new granite countertops, and new luxury vinyl plank flooring. This home comes with a 30-day buyback guarantee. Terms and conditions apply." "MLS# 14067609 - Built by History Maker Homes - August completion! ~ Large kitchen with oversized island, stained espresso maple cabinets, and LED disc lighting. Ceramic tile backsplash and shower surrounds. Iron balusters with stained handrail upstairs and downstairs. Ceiling fans in living room and all bedrooms. Very large master bedroom. Master bath has 2 sinks with 60 inch vanity. Huge walk-in master closet." "MLS# 14068034 - Built by History Maker Homes - July completion! ~ Oversized island with espresso stained maple cabinets and stainless steel Whirpool appliances. Ceramic tile backsplash in kitchen and surrounds in showers. LED disc lighting in kitchen. Iron balusters with stained handrails down and upstairs. Ceiling fans in family room and all bedrooms. dual sinks in master with half wall in between shower and sink area. Cabinets above the washer and dryer." "MLS# 13900953 - Built by History Maker Homes - June completion! 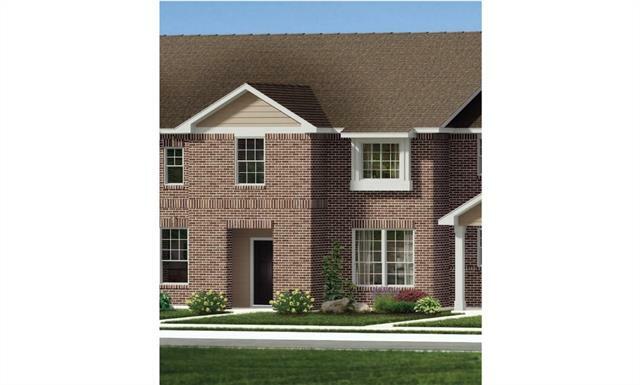 ~ Spacious two story floor plan with loft upstairs. 30 inch Cordovan maple cabinets. Ceramic tile backsplash in kitchen. Master and secondary baths have double sinks. Garden tub shower combo in master bath. Greenspace with pavilions and grills with separate water spigot. Also a greenspace with dog bag dispensers. 2 car attached garage"
"Like new home! Completely updated home. Windows, paint inside and out, flooring, HVAC, Insulation, appliances, landscaping, utility room, ALL NEW! Roof replaced in 2014." "A short bike ride to TWU and the Square. 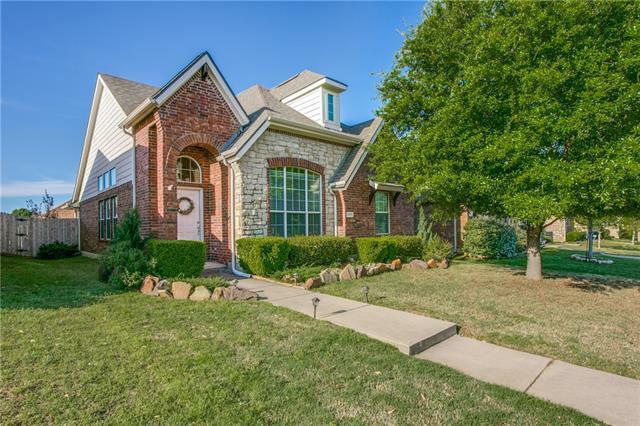 Take a step back into Denton's history when you enter this great 3 bedrooms 2 bath home built of stone. Enjoy the character and grace of the updated kitchen, bathroom, large living-dining, ample master suite and study, beautifull wood floors. Enjoy the beautiful garden room and the huge backyard. If you are looking for an appealing place to welcome you home after work or school. This home offers you a piece of the past. 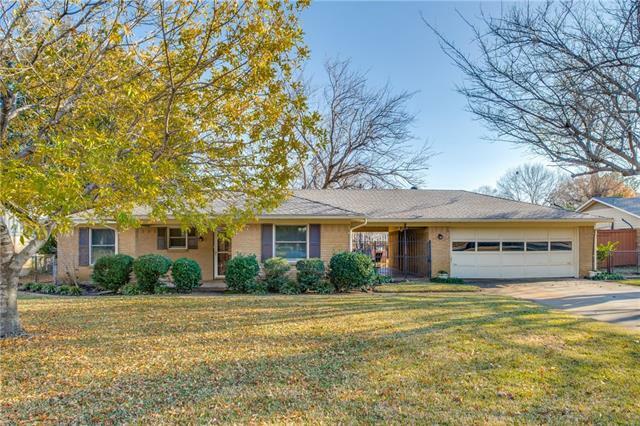 Your wait is over, this much sought"
"Beautiful single-story 3-1 home within walking distance of the historic Denton square and all it has to offer! #DiscoverDenton and its food, fun and culture! Enjoy the comfort of an open, split floor plan that allows for the convenience of one s own space while providing a central living, dining and kitchen area for leisure and entertainment! Spacious backyard with mature trees allow for an ideal outdoor escape! Beautiful hardwood, granite countertops, fresh paint, remodeled kitchen and bath a"
"Location and Style!! 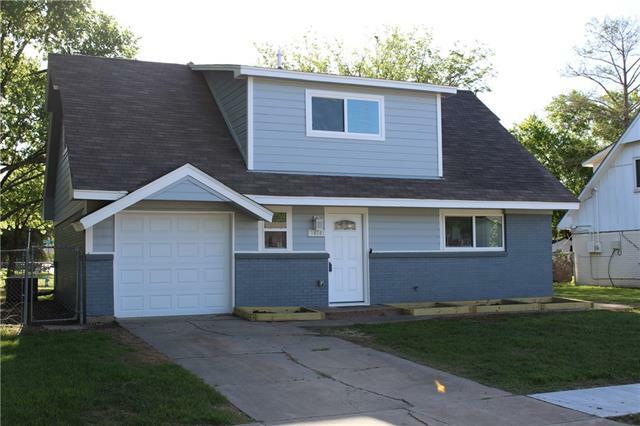 Recently updated three bedroom two bath has everything you need, custom cabinets, modern appliances, huge pantry and dining area, laminate floors throughout, neutral paint colors, fenced backyard, new HVAC and roof in 2013. Second living area can be used as private office or formal dining. Conveniently located to schools, shopping, and other amenities. Come see it today!!!!" "Move In Ready! The current owner has taken pride in this home and it shows. Large deck and pergola that is perfect for relaxing! Kitchen Island." "Completely remodeled home. Updated includes new HVAC system, new laminated flooring, new tiles, new vanities and tops in both bathrooms. New gas stove with microwave, New kitchen cabinets, new backsplash, new fans and doors, new dishwasher and recently plastered the exterior house. Foundation had been repaired with 10 years warranty.Walk-in high school and elementary school. Easy to acces I-35 hwy, 635 Hwy and President George Bush Hwy. Very convenient to shopping center and walk-in high school "
"Pride of ownership! 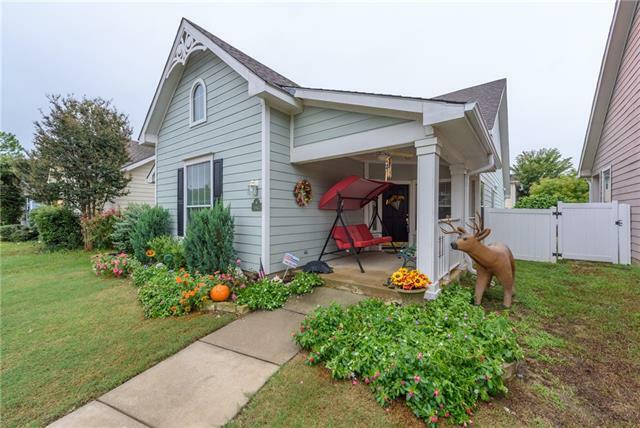 Well maintained home in the heart of Providence Village, Wonderful Curb appeal on this quiet street, overlarge front porch makes a great place to relax in the evenings. Home is light and bright with wood floors in living, dining, and office. Tile in all wet areas, and carpet in bedrooms. 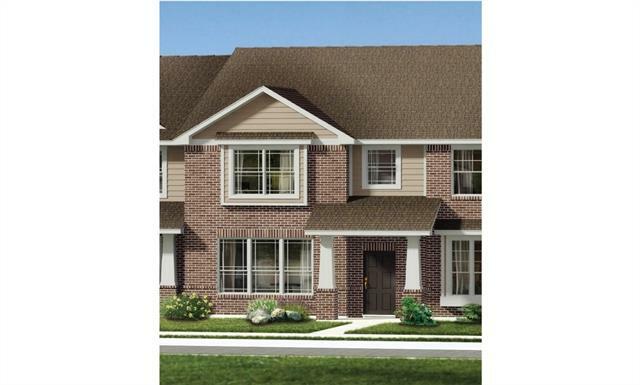 This 3 bedroom 2 bathroom home has a nice floor plan that Flows through the home. Split bedrooms, Master bathroom has dual vanities with shower tub. Come and enjoy what this amazing community"